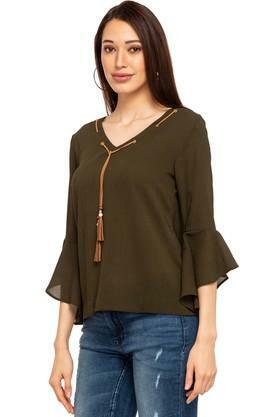 Introduce soft, feminine hues to your casual collection with this top from Gipsy. Made of good quality fabric, this top is quite comfortable to wear all day long. 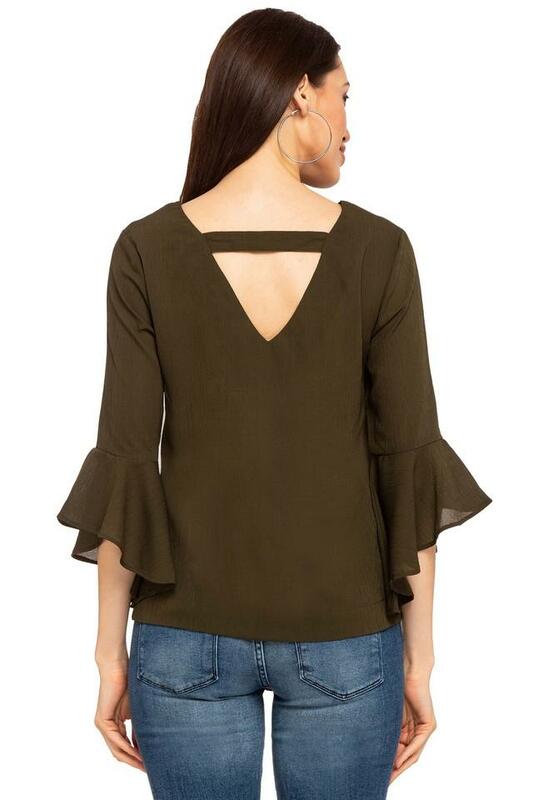 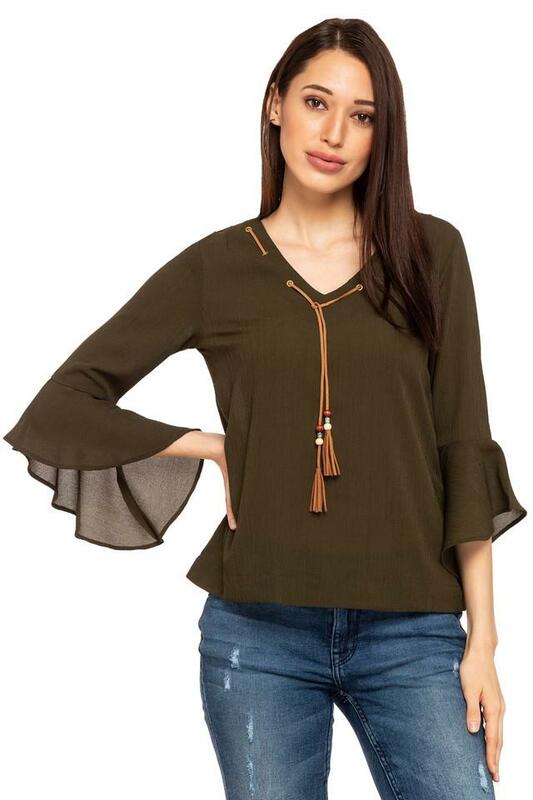 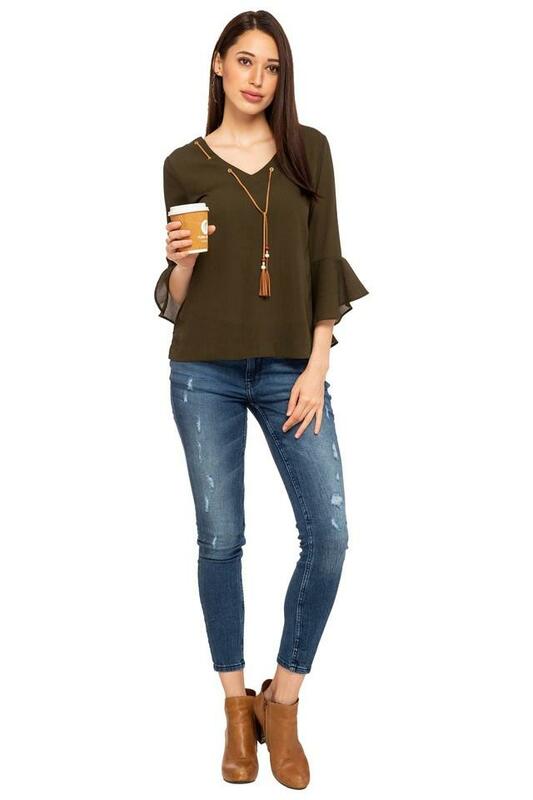 Featuring a v- neck, bell sleeves and solid pattern, this top comes with a trendy magnetism.